Multiple scenes of Sherman County, Kansas. 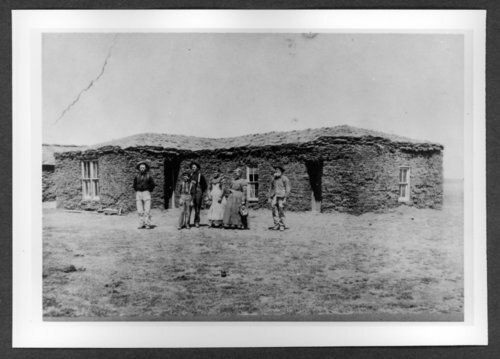 In the Pantzer homestead photograph, pictured left to right: Ed, George, Henry, Sadie, and the parents. Scenes of Sherman County, Kansas - Mr. and Mrs. August Pantzer on their homestead eleven miles south of Kanorado, Kansas.